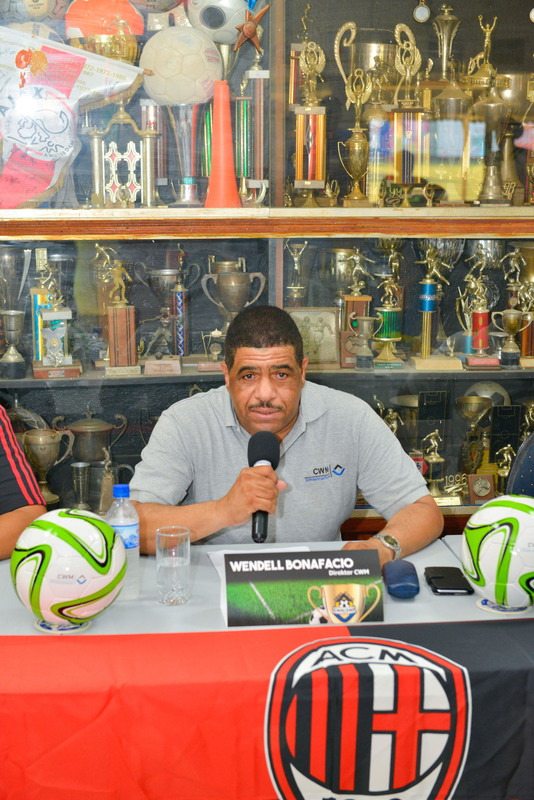 Willemstad – During a press conference on Tuesday, September 15th 2015, CWM and EWP officially announced the dates for the first CWM / EWP Soccer Tournament, to be held from October 9th to 11th at CVV Willemstad and SUBT Stadium. This soccer tournament is the result of a commitment made by Wendell Bonafacio, CWM, and Walter Hofstede, EWP, to support the youth, in particular the talented youth with growth potential. 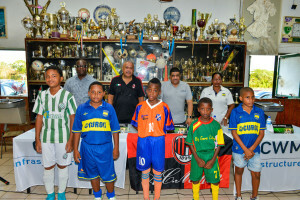 The top teams in the U-13 category where invited to participate, even a team from Aruba. 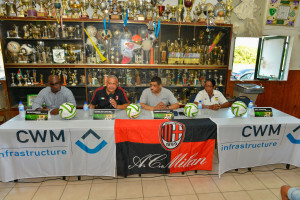 Offering a tournament like this in cooperation with AC Milan Junior Camp Caribbean, gives the teams and individual players a platform where they can show off their talent. The tournament will have a winning team, but also choose to MVPs (Most Valuable Players), which will participate in the AC Milan Junior Camp in 2016. CWM and EWP have committed themselves to 3 years of a tournament that promises to grow in the years ahead. “We believe in our youngsters, they are the future, and we have an obligation as a company to give back by means of this types of events to support and assist them in their growth and truly enable these potential stars to shine!” said Wendell Bonafacio, “and we invite families, friends, colleagues of the Janssen de Jong family and soccer fans to join us from October 9th to 11th to celebrate our young talents at the first CWM / EWP Soccer Tournament!